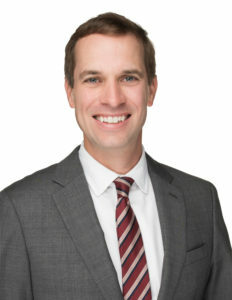 ST. LOUIS, Tuesday, November 27, 2018 – Gardner Capital, a St. Louis-based private equity firm specializing in multifamily housing and solar energy development and investments, announced Friday the hire of Ryan Combs as Senior Vice President, Development, Texas Region. Based in Gardner Capital’s Dallas office, Ryan will oversee all aspects of multifamily housing development and financing for a portfolio of developments in Texas. “We are happy to announce Ryan Combs has joined our Texas team! Ryan’s reputation and skills as a multifamily housing developer in Dallas and Texas will enhance our ability to close even more deals in Texas, and of course, better serve our clients, partners and the families we serve. Gardner Capital’s presence in Texas continues to grow!” said Michael Gardner, CEO & President, Gardner Capital. An experienced multifamily housing developer, Ryan previously served as Senior Vice President at Palladium USA where he was responsible for all aspects of multifamily housing deal origination, development, and oversight for a portfolio of deals. Ryan received a Bachelor of Science Degree in Psychology from Howard Payne University in Brownwood, Texas.